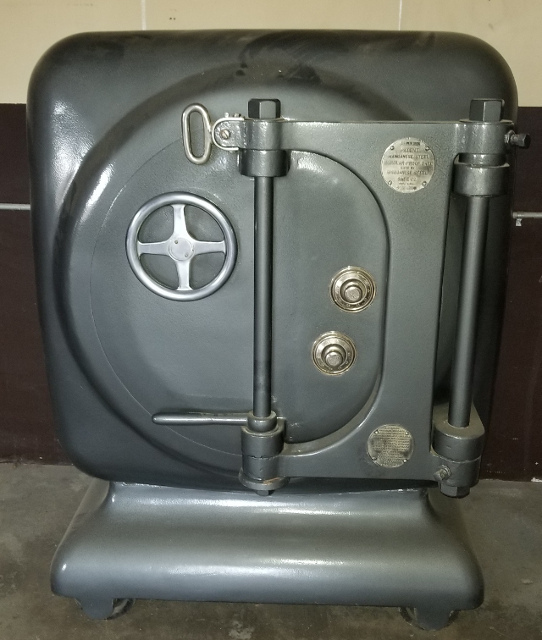 My company recently obtained an old safe that we don't know the combination to. We're very curious about what might be inside (we're thinking probably nothing) and we'd like to try to open it non-destructively. We have no information about the safe including how the locking mechanism works. I have limited experience with lock picking but I'm willing to give this a shot. I also have the technical means to build an auto dialer if I end up unable to manipulate the lock. I'm hoping someone can give me more information about what I'm looking at to get me started. When I first played with the lock the top dial spun freely but the bottom lock only moved from 95ish to 5ish. The wheel spun ~5-10 times in either direction. One direction stopped with a hard stop, the other end was softer and felt more like it was jamming. I played with the handle at the bottom a bit, but it jammed up so I left it alone. The door didn't move at all. I went home and researched the safe and learned from the patents that the handle at the bottom is for leveraging the door open if it gets stuck. With that knowledge I went back the next day but I found that the safe was in a totally different state. The bottom dial now freely spins like the top dial. The wheel also freely spins. I tried playing with the handle and after some forcing the door making a crunching noise and popped out a little. I'm guessing that the safe was unlocked when I first saw it, but it somehow got relocked (I think someone messed with it). Everyone thought the safe was locked because the door was jammed shut, but no one knew to force the handle to free it. The door now wiggles in place which leads me to think if I had the combination we could open it. I'm new at this so these might be silly questions. What are the two dials for? Was the safe probably unlocked the first time I saw it? 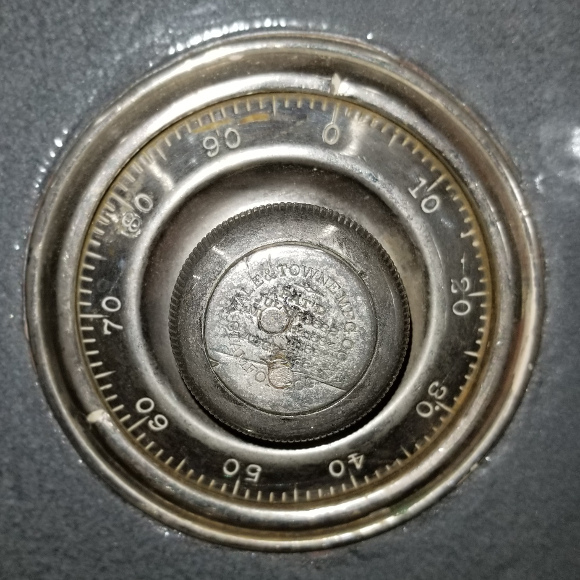 Does the jammed up lower dial mean that I only need one dial's combination to unlock the safe? 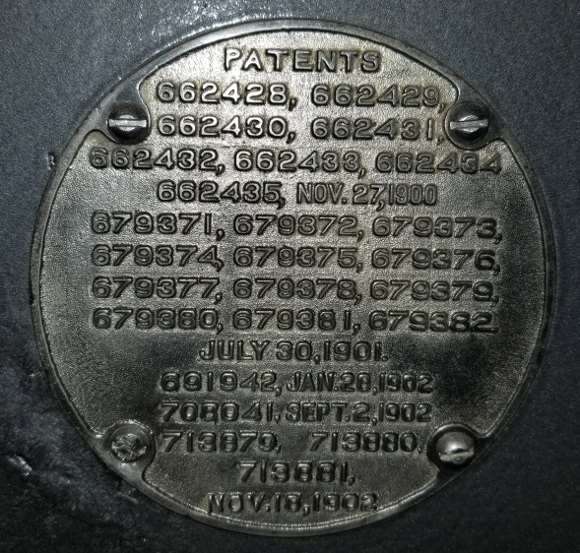 Is there any way to tell what kind of locks these are, how many numbers are in the combination, and what the dialing pattern is? I didn't take a great photo of it, but the top dial seemed to have two markings that could be the opening index. In the last photo of my set the first mark is at ~99, the second is at ~62. I might need to take a better picture, but which one is the correct one? The lower dial seemed to only have one marking. I appreciate any info you guys can give me! It might be a Yale 101 1/2. It could be 1 of many. That is an old Cannonball safe! I don't know what you guys paid or how you "acquired" it but please DO NOT DO ANYTHING TO DESTROY IT! Hi Micro500. 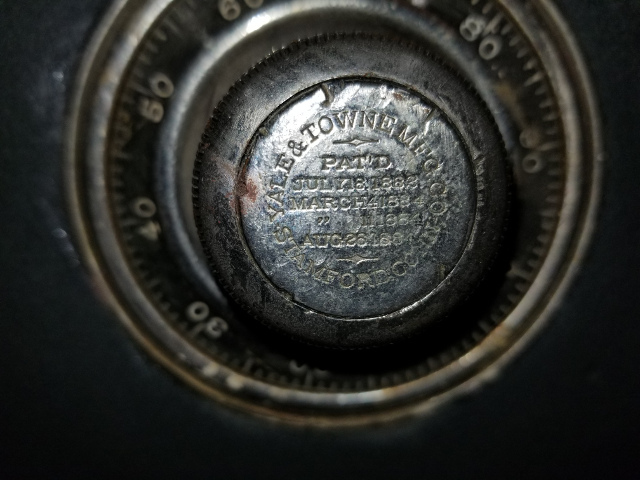 That's an absolutely gorgeous old safe and I'd echo tarboxb's comments - please, PLEASE don't let anyone attack it, including a safe engineer. It has two locks for the simple reason that both need to be unlocked to open the safe - this is added security not only from thieves, but also from employees - for example the general manager might have one combination and the branch manager had the other, so neither could open the safe without the other present. In terms of dialling pattern and manipulation...this really is a job for a pro. (Or Oldfast.) 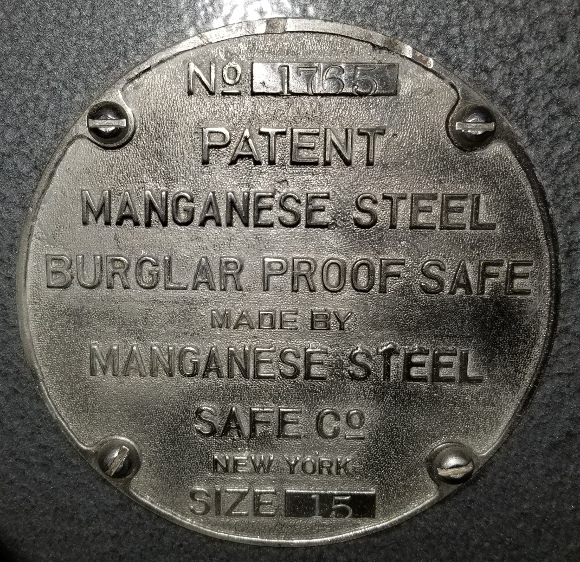 What you really need to do here is contact a good safeman in whatever city you're in, and specify that you want the safe opened non destructively...and then pay the man whatever he asks. Opening it yourself is certainly possible, given a amssive amount of time. I dunno what you earn per hour, but the time you're going to have to spend mastering manipulation will cost you vastly more than whatever the safe engineer's rate is for the job. I'd love to see the inside of this thing, please post pics once it's open. Just throwing this out there Micro500 if you're interested depending on where you are. I am a safe technician and I have the equipment and skills to open the safe properly. I manipulate 90% of the safes I open and could most likely manipulate it. If we need to drill the safe then it will be a precisely executed procedure that will result in a safe with very little if any evidence of having been drilled. I can tell you right now that if you absolutely MUST have it manipulated, depending on certain factors it could potentially become extremely expensive. For many reasons which I will not go over, in some cases certain safes just "can't" be manipulated. There isn't a lot of logic as to why necessarily but in some cases it is just so difficult it is not practical. I am in Western MA. If you're near me and would like me to open it then send me a private message as we can talk. If not and you would like me to recommend someone, I know a lot of highly qualified safe technicians around the US and could recommend someone.